Quickly and gently removes all makeup, even long-wear and waterproof formulas. Unique water-based formula refreshes with a crisp citrus scent. Rinses away easily and leaves skin feeling soft and smooth with no greasy afterfeel or oily residue. Remember: never go to bed with makeup on. Clean skin is healthy skin. How to Use: Apply to dry skin and massage well. Rinse or tissue off. 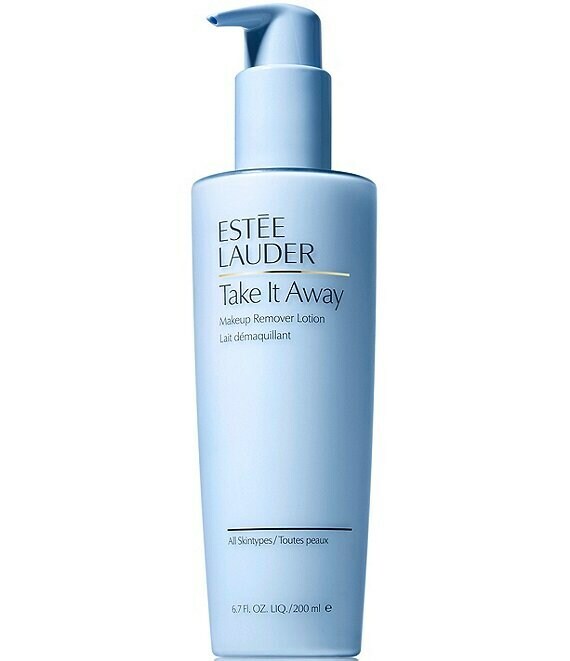 follow with your Estee Lauder cleanser and the rest of your skincare regimen.